Stable bar Plymouth wood burning stove installation from Kernow Fires. 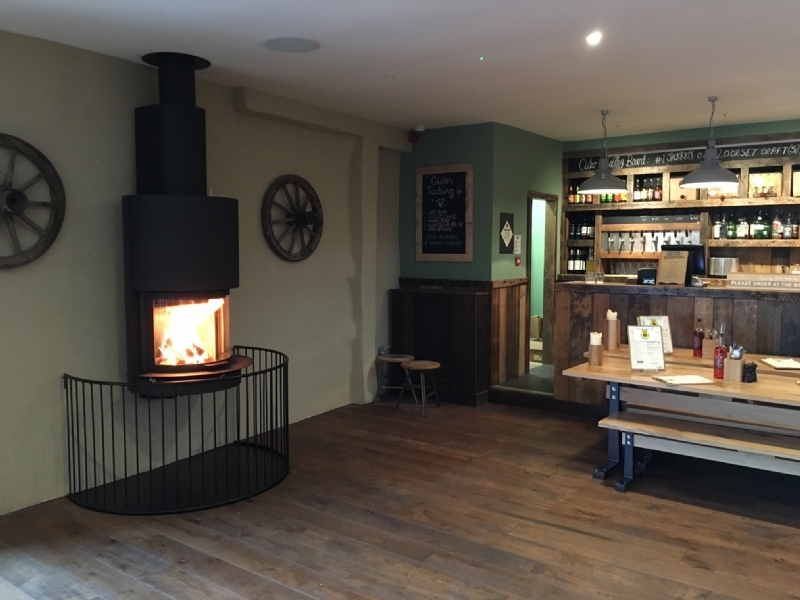 Customer Aspirations: Having fitted a Stuv in the Stable Bar in Newquay the team wanted to fit something just as eye catching and unique into their latest pub in Plymouth. Customer Requirements: Something with a very large output to heat this large area. The Scan DSA 5 is perfect for this situation. 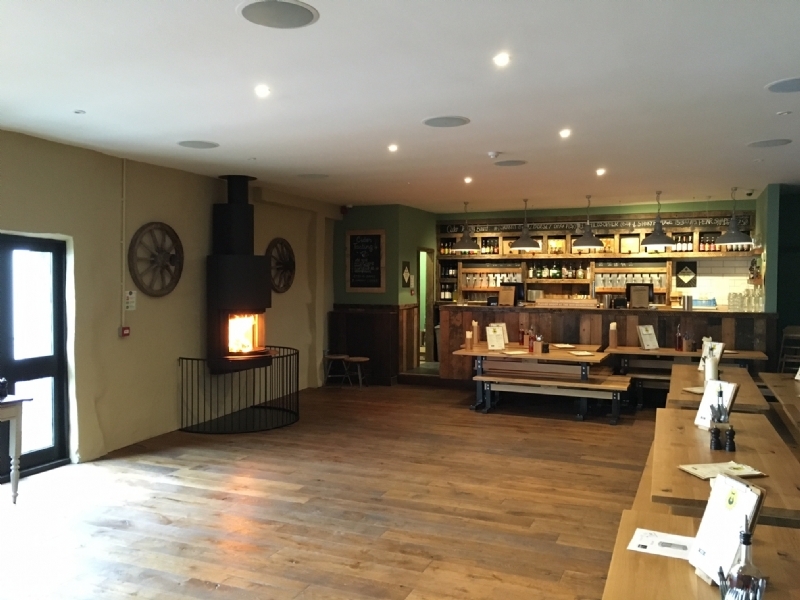 Elevated from the ground so the fire can be seen across the whole bar area, even when the seating is in place, it has a very large heat output and the added design feature of a vertical lift door.